We carry out cylinder liner honing services both at our factory and in-situ, which includes cylinder liner de-glazing, boring and honing. These services are undertaken by using internationally recognized high performing machine, which are specially designed for diesel engines. Our services are renowned in this competitive market. 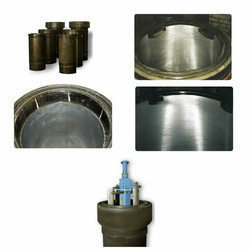 We are the leading service provider of boring and honing of cylinder liners, which are sourced from reputed companies. The services offered by us are under the supervision of our expert engineers who take care of quality and inspection work. Our services are highly popular due to flexibility and timely delivery. Our solutions reach the destination safely in an easier way.